From the Auvergne region of France, Chef Boudot holds a “Certificat d’Aptitude Professionnelle” (CAP) in pastry, a “Brevet d’Études Professionnelles” (BEP) in boulangerie, and a “Brevet Professionnel” (BP) in boulangerie. In 1997, he started working as a baker for Eric Kayser where, in 1999, he was promoted to the position of Head Baker. His job was extremely varied and, in 2005, he was promoted and given the role of overseeing all the bakeries of the Eric Kayser group. Between 2004 & 2005, Chef Boudot worked as Head Baker for Amondio Pimenta MOF who taught techniques for rye and nutritional breads. In 2008, he became Head Baker at Moisan where he worked with Christian Vabret MOF in research and development as well as teaching at the Moisan Institute. He then chose to pursue his career in South Korea where he worked as a research and development baker for SPC Paris Croissant, before moving to Switzerland to take up the same position with Maillard et Gourmandises. During his career, Chef Olivier Boudot has taken part in numerous competitions and won many titles. In 2005, he won the gold medal for bread and viennoiserie at the Arpajon gastronomic competition and in 2009, he became Champion of France (bread) at the French Breadbaking Cup, and in 2010, as part of the team representing France, he was crowned Champion at the European Breadbaking Cup. In 2012, he was awarded first prize (bread) at the Swiss National Competition «Swiss Bakery Trophy». Chef Boudot also contributed to 100% pain, an Eric Kayser book which was published in 2006. 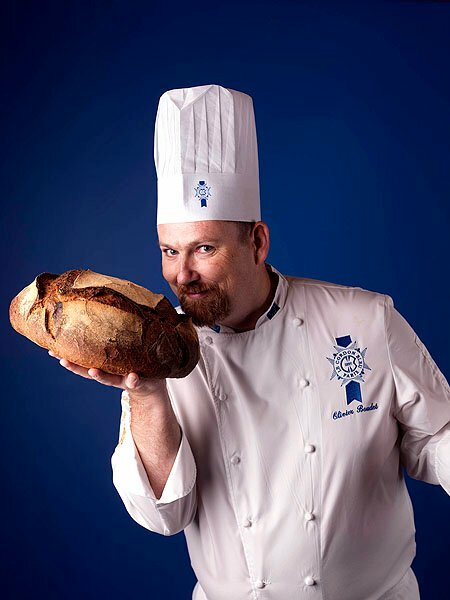 Chef Boudot joined Le Cordon Bleu Paris team of Chef Instructors in 2013.